Share the post "Heavy Bleeding"
Menorrhagia is the medical word for heavy or prolonged menstrual bleeding. Such bleeding can cause women to become anemic, sometimes requiring a blood transfusion. Menorrhagia may be associated with blood loss to the point that it interferes with daily activities. Women may feel tired and dizzy from their anemia. There are several theories to explain how fibroids contribute to menorrhagia. One explanation suggests that submucosal fibroids (located within the uterine cavity) enlarges the surface area of the endometrium (uterine lining), which may be a cause of heavy menstrual bleeding. 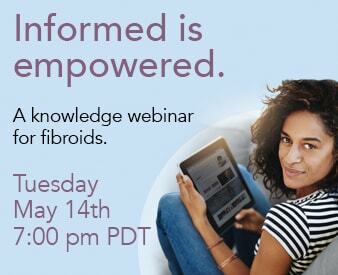 Another theory suggests that fibroids contribute to disorders in hormone production, which are involved in the contraction and relaxation of the smooth muscles in the uterus. Are Fibroids Causing you Heavy Bleeding (Menorrhagia)? Other causes for menorrhagia including hormone imbalance, or even cancer, need to be evaluated. If you think you have fibroids, you may be a candidate for Uterine Artery Embolization. For more information on fibroids and menorrhagia, feel free to contact us at 1.800.645.6095 or request a free consultation online.